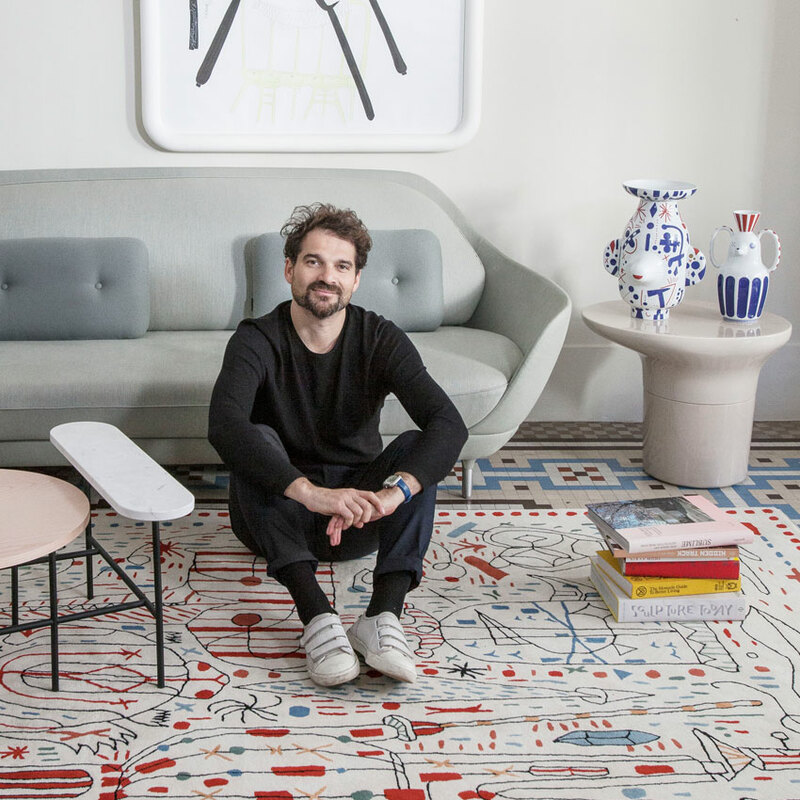 This month we have collected for you the best modern rugs of 2018 created by the most famous designers. 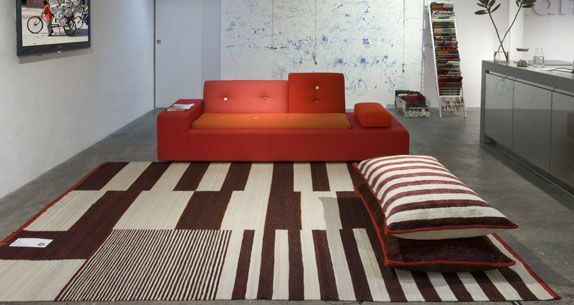 Designer rugs are a great way to personalise the house or the office of our dreams. 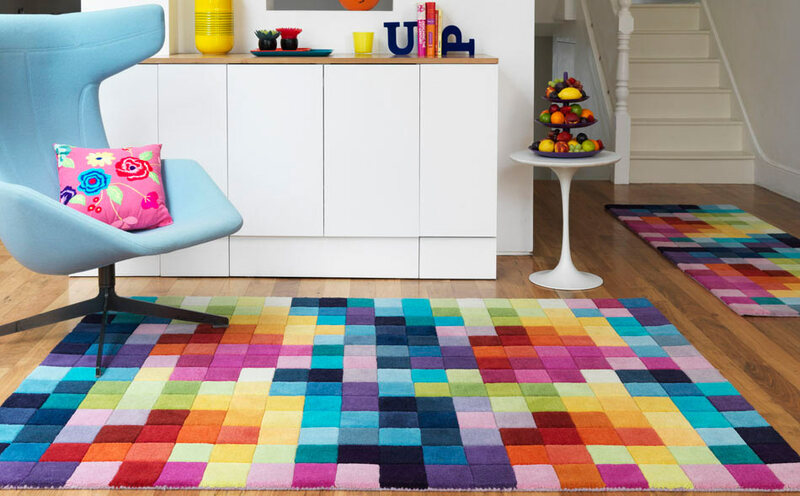 Modern and contemporary rugs can be bold and colourful, calm and cosy, square, round or rectangular, natural or handmade and even waterproof. With all this choice available, it can be hard to decide which floor rug is right for you and your home. 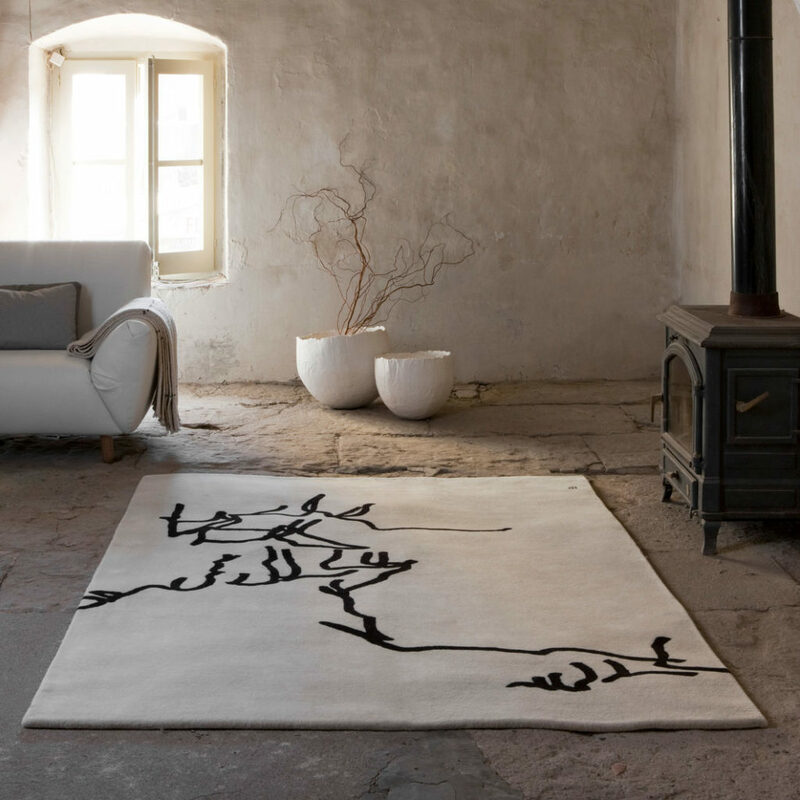 The type of rug you choose will depend on a number of options from taste to practicality, but we have selected some of the most beautiful and famous modern rugs able to give a touch of elegance and exclusivity to an environment without compromising the harmony of the space in which they are inserted. 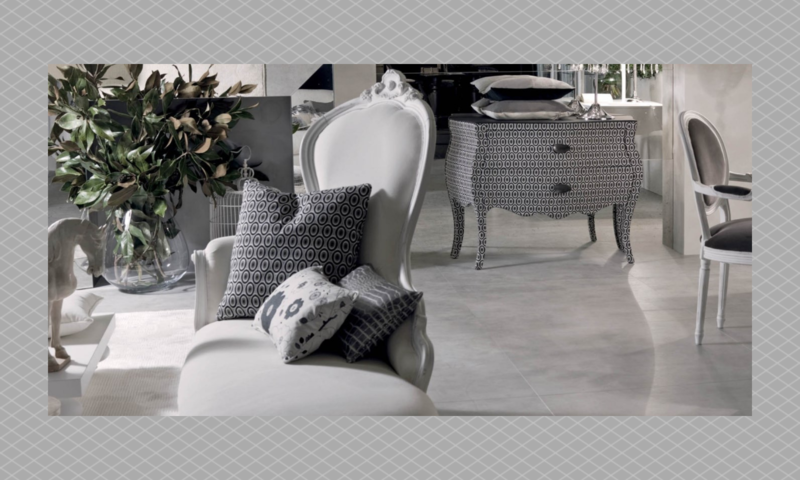 Nanimarquina: art, design and quality. The most famous company in the design rug production is the Spanish Nanimarquina. Immersed in a unique world of creativity from her early childhood, Nani Marquina’s father, Rafael Marquina, one of the pioneers of Spanish design, is the creator of the famous Marquina oil cruet. An icon of Spanish design, the cruet garnered the first prize during the inaugural edition of the ADIFAD Awards in 1961. This made a profound impression on Nani, fostering a deep conviction to follow in her father’s footsteps and the family tradition of design. 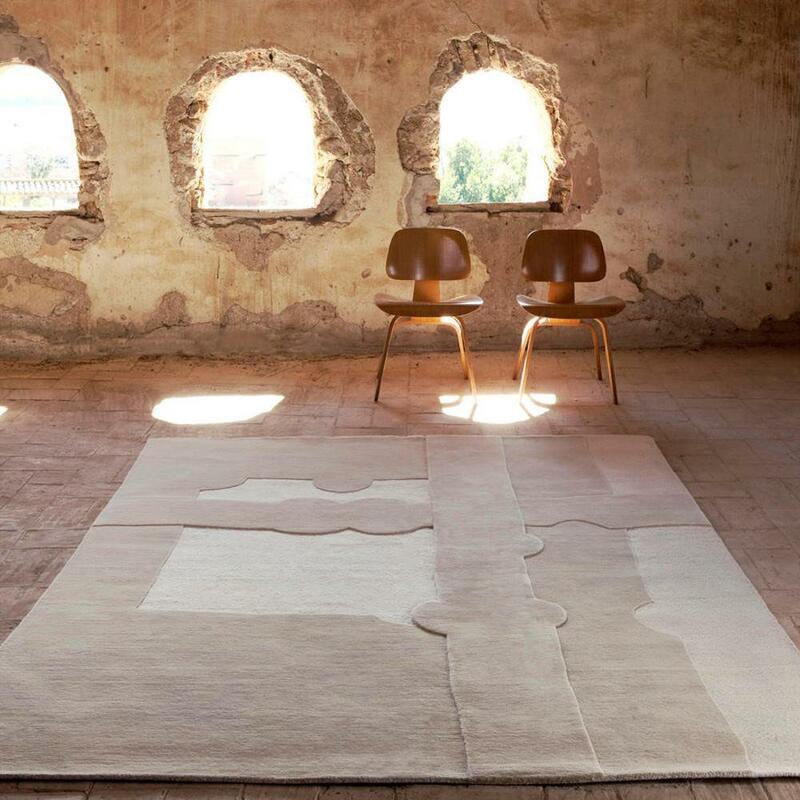 Nani founded nanimarquina in 1987, driven by the desire to create innovative rugs. Special attention and effort have been invested in searching for quality raw materials and manufacturing processes from the very beginning; factors that enrich the aesthetics of her designs, the main reason for the brand’s commercial success. 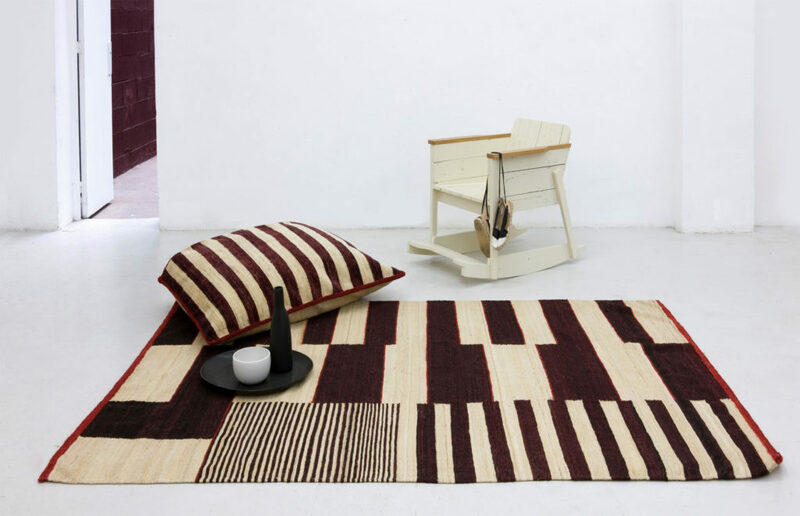 In addition, thanks to her visionary attitude, Nani Marquina collaborates with prestigious international designers to create unique collections, the first textile designer to work on the concept of designer rugs. Growth and international acclaim would continue in 2002, with the addition of Nani’s daughter, María Piera Marquina. 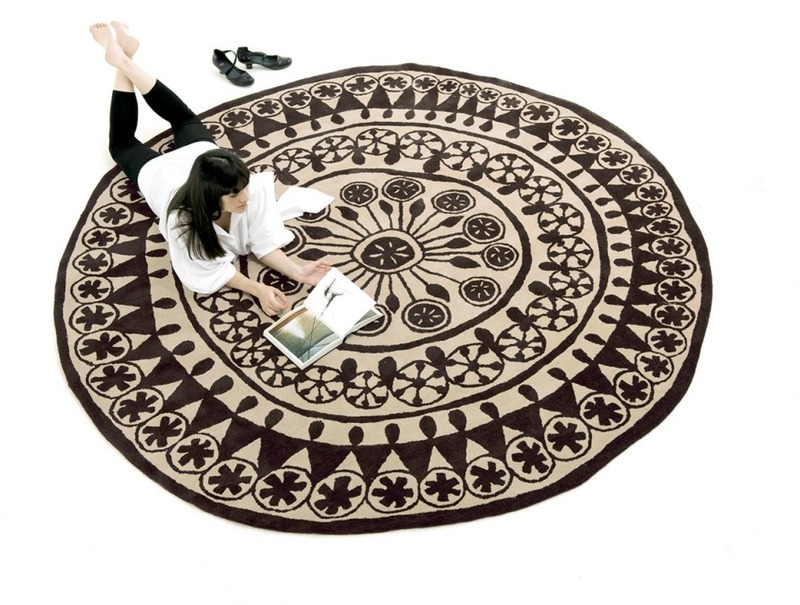 The designer took the ispiration from Rangoli, a Hindu floral design with a long historic tradition: it is a welcome symbol which provides protection or offers good luck. The pattern is normally composed of flower petals, leaves, coloured powders, rice flour, and other elements that act as a vehicle for decoration. It’s charm and discreet elegancy make it perfect for the decoration of hallways, large living rooms and, in the smaller version, of bed rooms. 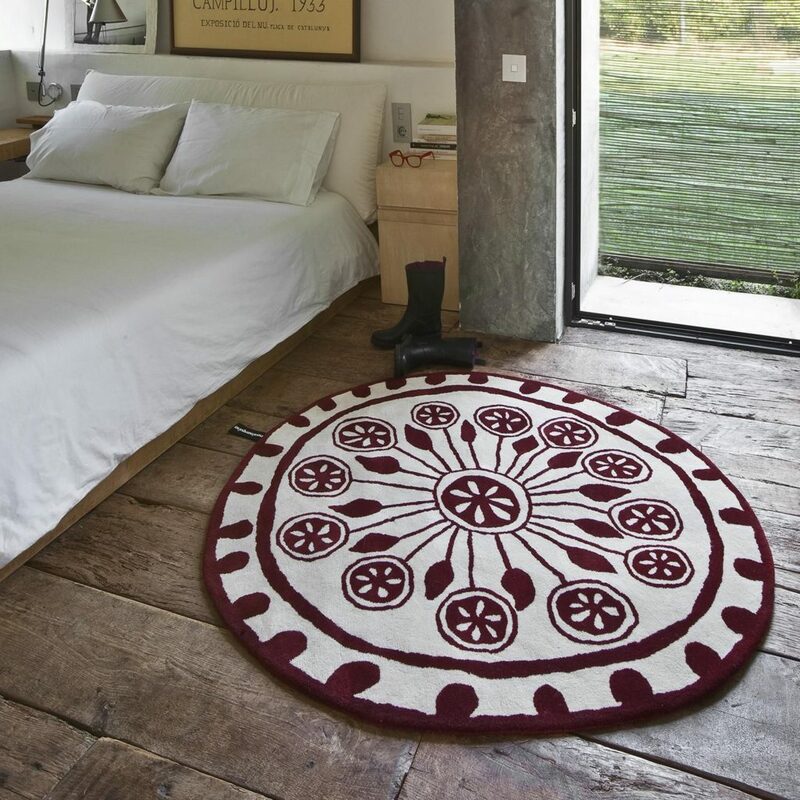 Rangoli Rug Nanimarquina is available round in shape, in three different sizes. 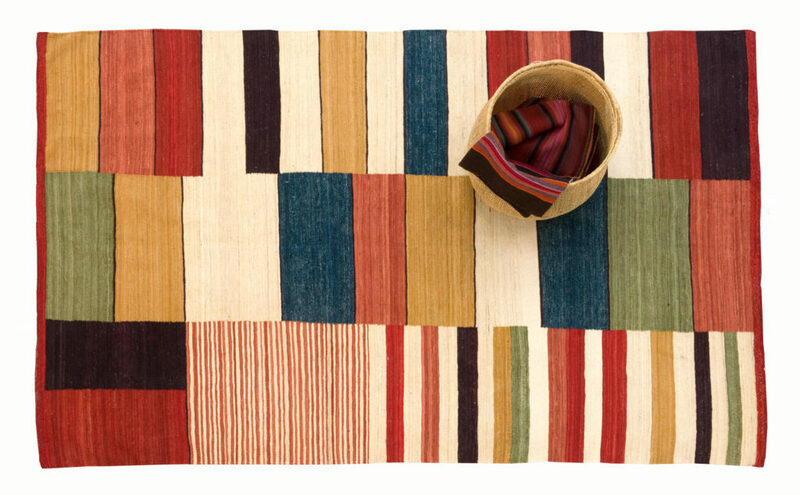 Hayon x Nani Rug Nanimarquina was designed by Jaime Hayon for Nanimarquina who gave life to a collection of four funny and coloured carpets. It was created with the hand tufting technique, a manually operated pistol injects pieces of wool, intuitive and fluid lines are achieved, as well as an organic composition. It could seem a chaotic representation of strange coloured shapes but in reality it carefully matches the imagination of the designer: lips, hands, turtles, fish, half men… Hayon x Nani Rug Nanimarquina is ideal for the decoration of modern living rooms and coloured bed rooms. 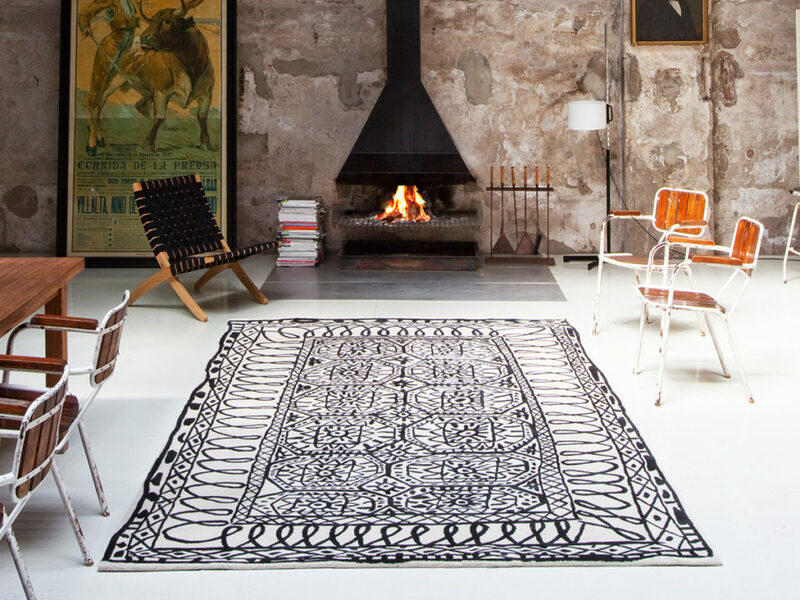 Figura Humana 1948 Rug Nanimarquina takes part of a collection of elegant rugs dedicated to Eduardo Chillida. The collection is based on the artist’s chronological works: Figura Humana – 1948, Dibujo Tinta – 1957, Collage – 1966, Mano and Manos from the ‘90s and Gravitación from 1993 and 1994. 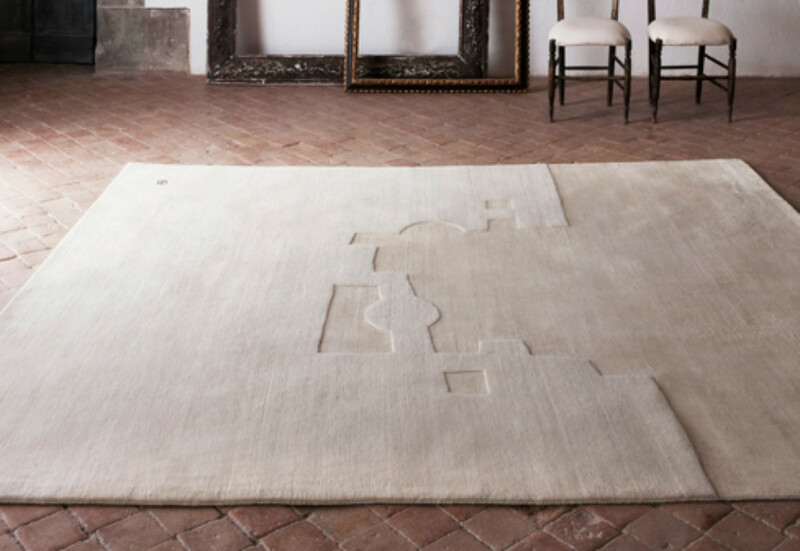 The nuances he used for its art have been meticulously translated into these exclusive carpets using various materials and fibres, for example silk, wool and hand-spun mohair. They are suitable for the decoration of a home and public areas too. Medina 1 Rug Nanimarquina is an elegant decorative element inspired by the ancient rugs that were used to protect people from direct contact with the ground. It has been handcrafted using the old kilim technique of north of Pakistan. 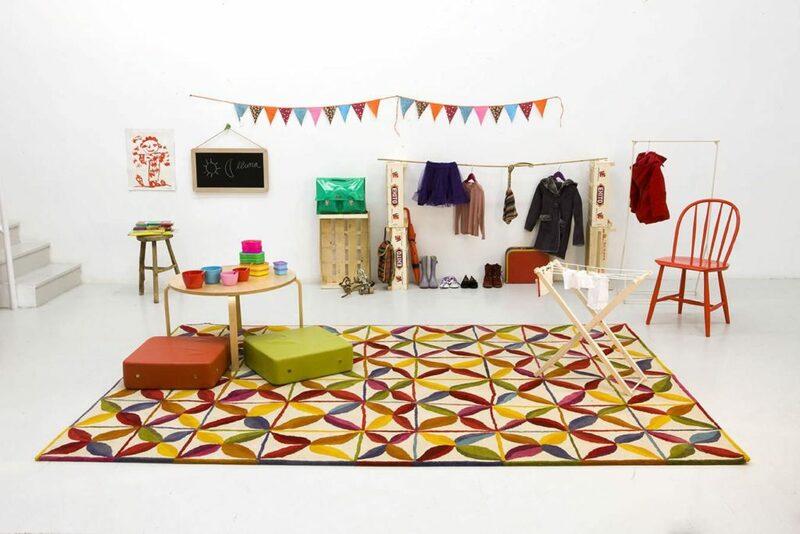 The Medina 1 Rug is available in rectangular shape in three different sizes. It is warm and enveloping and can be inserted in any room: from a living room to a bed room to a dining room. The Medina Rug 1 takes part of the best modern rugs of 2018 thanks to its versatility and luxury appeal. Kala, that translated to Hindi means “tomorrow” and “art” was inspired by children’s creativity and imagination for a better future. This project was born from the collaboration between Nanimarquina and India; the collection represents original drawings from students at Care&Fair schools in India who has created a masterpiece insertable in any room. 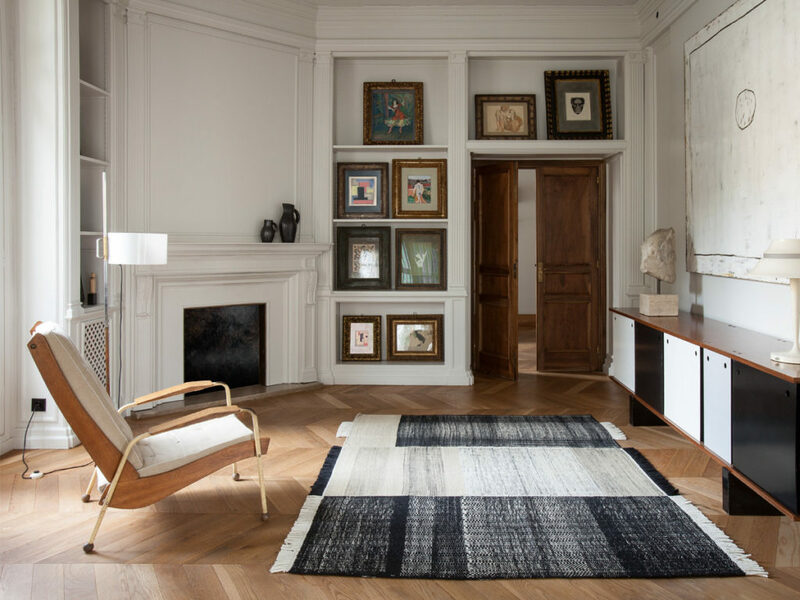 Kala Rug Nanimarquina is available rectangular or round in five different sizes. 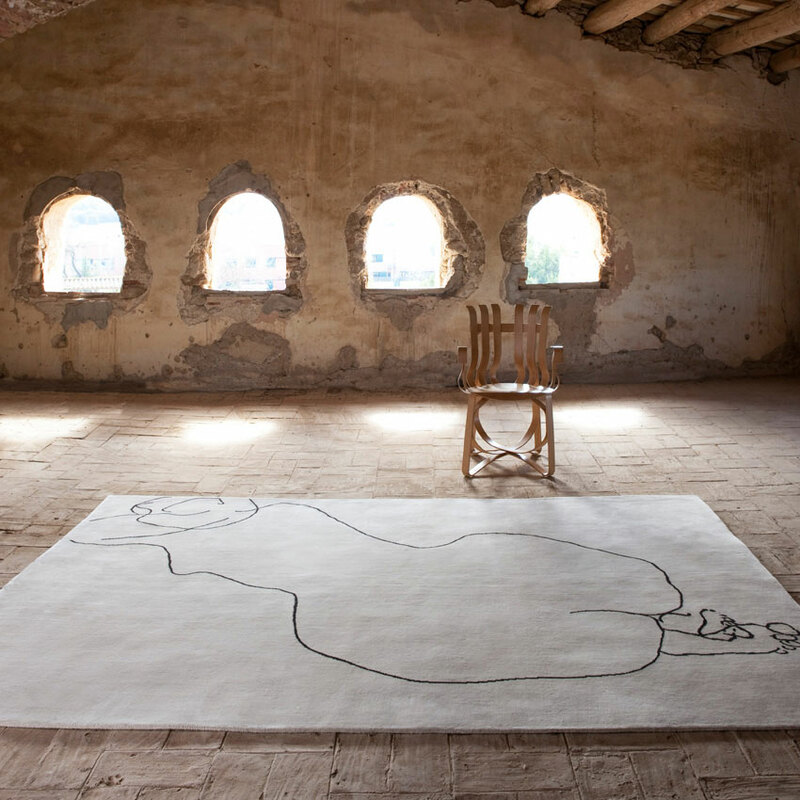 Gravitaciòn Rug Nanimarquina takes part of a collection of elegant rugs dedicated to Eduardo Chillida. The collection is based on the artist’s chronological works: Figura Humana – 1948, Dibujo Tinta – 1957, Collage – 1966, Mano and Manos from the ‘90s and Gravitación from 1993 and 1994. 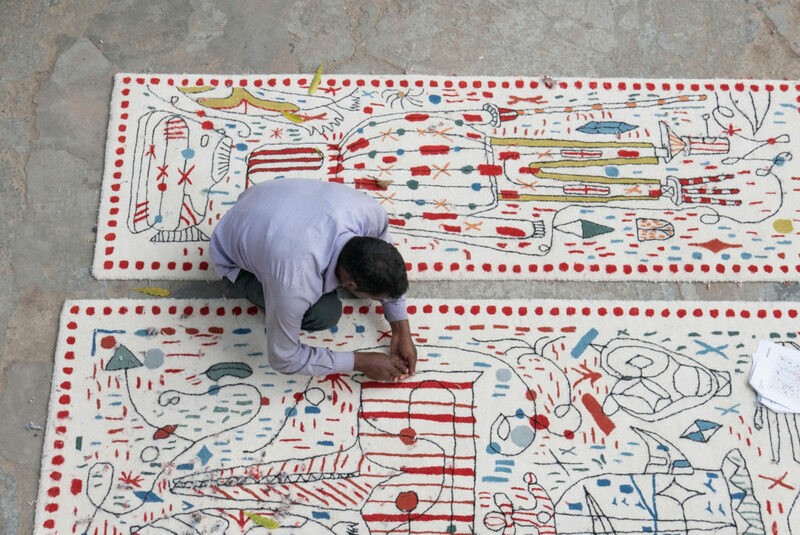 The nuances he used for its art have been meticulously translated into these exclusive carpets using various materials and fibres, for example silk, wool and hand-spun mohair. They are suitable for the decoration of a home and public areas too. Medina 2 Rug Nanimarquina is one of the best modern rug of 2018 thanks to the mix of its elegant colours that gives life to an unique design decorative element able to furnish any space and room. It has been handcrafted using the old kilim technique of north of Pakistan. 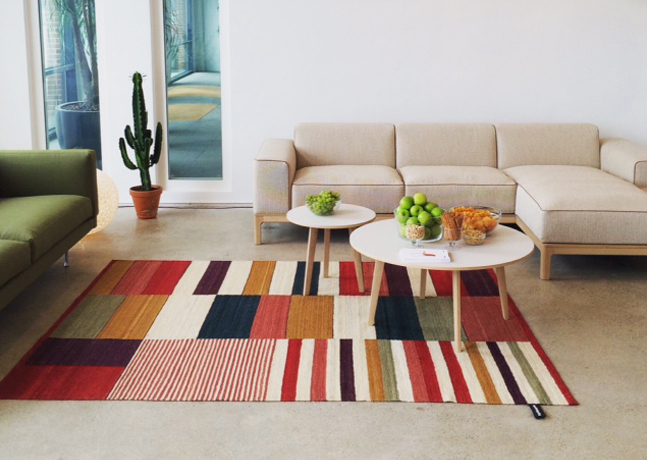 Medina 2 Rug Nanimarquina is available in rectangular shape in three different sizes. It is warm and enveloping and can be inserted in any room: from a living room to a bed room to a dining room. 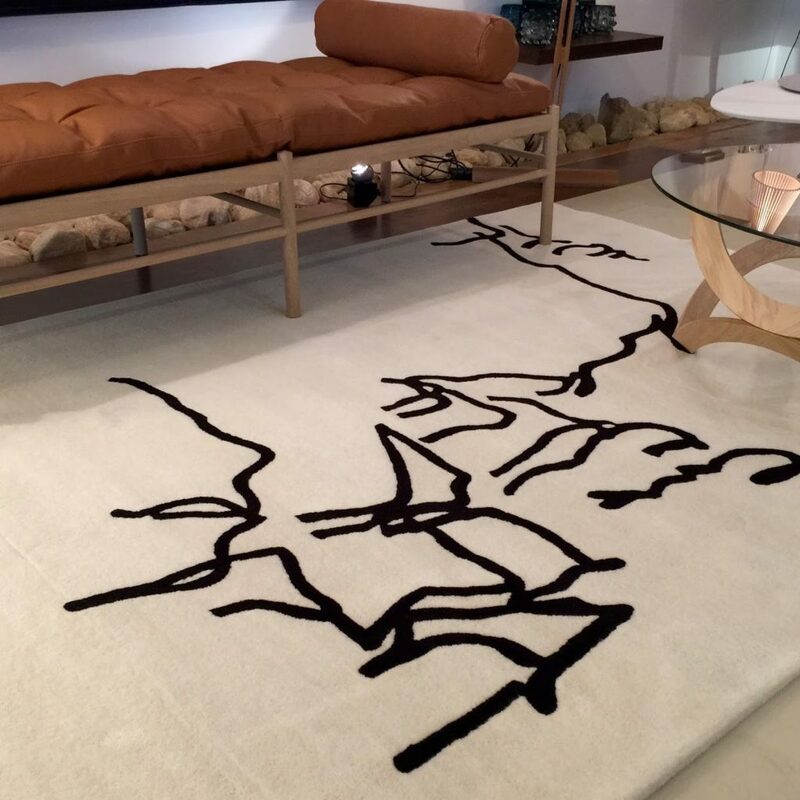 Dibujo Tinta 1957 Rug Nanimarquina takes part of a collection of elegant rugs dedicated to Eduardo Chillida. The collection is based on the artist’s chronological works: Figura Humana – 1948, Dibujo Tinta – 1957, Collage – 1966, Mano and Manos from the ‘90s and Gravitación from 1993 and 1994. Light and elegant nuances, just a drawing in the middle but the visual impact is remarkable especially when inserted in wide spaces such as living rooms or even art galleries or waiting rooms. It is suitable for any environment: office space, home and public applications.